This collection of Climate Change Graphics is from Earth: Inside and Out, part of the Museum's Seminars on Science series. These distance-learning courses are designed to help educators meet the new national science standards. 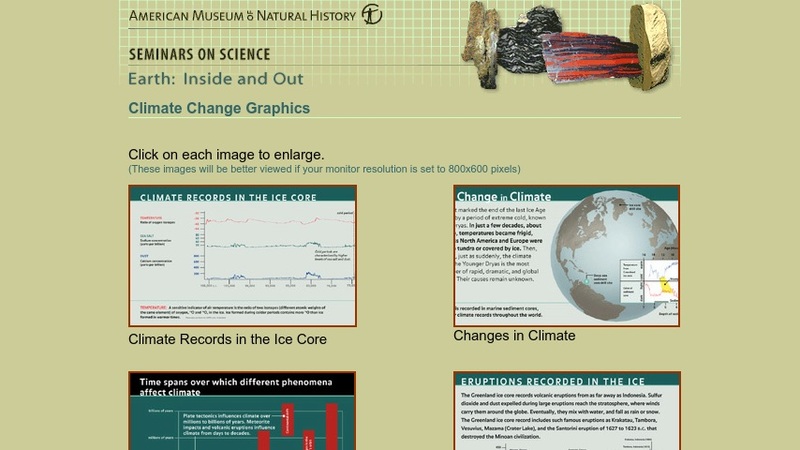 The collection includes these six graphics: Climate Records in the Ice Core, Changes in Climate, Time Spans over which Different Phenomena Affect Climate, Eruptions Recorded in the Ice, Year Without a Summer, and Global Warming.